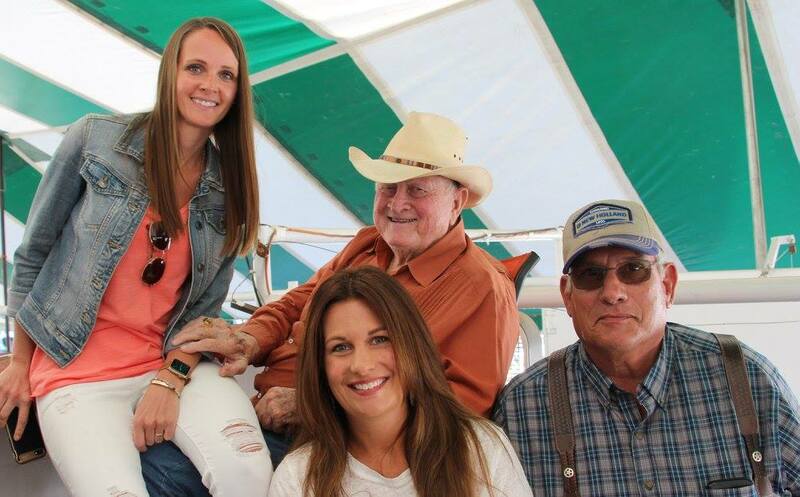 Jaymie Feldmann and Molly Clubb with Red McCombs and Alan Sparger. There were 19 Cash Cows that sold (cows $10,000 and over) for a total of $407,500. The Cash Cow Average was $21,447. Lot H10 was the high selling Cash Cow at $60,000. Only one lot sold on-line for $4,500 to Dale & Jill Morwood in Oregon. Thank you Morwood's! There were over 70 registered on-line bidders.